Unfortunately, the climate zone that we live in, season, diet poor in vitamin D and spending the day at school/work make it impossible to take advantage of sunbathing, thanks to which vitamin D3 is synthesized in skin. 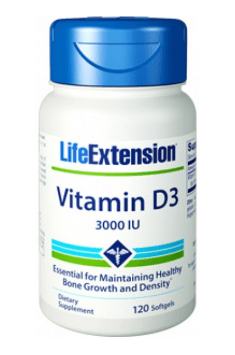 Because of this, it is necessary to supplement vitamin D, especially in the fall-winter season. It is believed that the dose of 1000-3000 IU is a safe and sufficient dose, especially in case of people avoiding exposure to sun. Increased supply of vitamin D may contribute to the growth of calcium, which by accumulating in the arteries may decrease their lumen and lead to cardiovascular system disorders. Vitamin K, on the other hand, may help in calcium utilization, therefore the supplementation of vitamin D should be combined with this vitamin. Vitamin D should be taken every day, preferably in the presence of meal containing fats. In order to select the dose of vitamin D, it is worth testing its level in blood after 2 months of supplementation (5 days before the test the supplementation should be stopped).